Chicagoland's Premier Indoor Golf Facility! 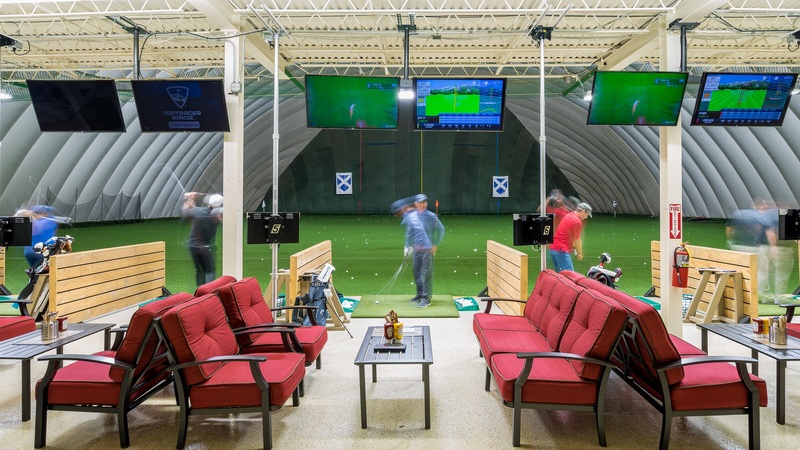 Mistwood Golf Dome (formerly McQ's Golf Dome) is the place to sharpen your game with indoors away from the harsh outdoor elements. The 60,000 square foot, fully heated dome consists of 50 hitting stations, a 900 sq ft putting green and short game area. Between shots, take a load off your feet and relax at our high top tables while watching one of our large high-definition televisions. Also, enjoy full food and drink service at your mat from McWethy's Sports Bar! Join our mailing list and​ keep current with all that is happening at Mistwood Golf Dome.